"A charming hotel in the centre of Söll, the Postwirt is a delightful place to stay. The hotel gets many repeat customers coming back year after year, so it is wise to book early to avoid disappointment." Dating back to the 13th century, the attractive Postwirt is Söll’s leading hotel and is full of Austrian charm and character. 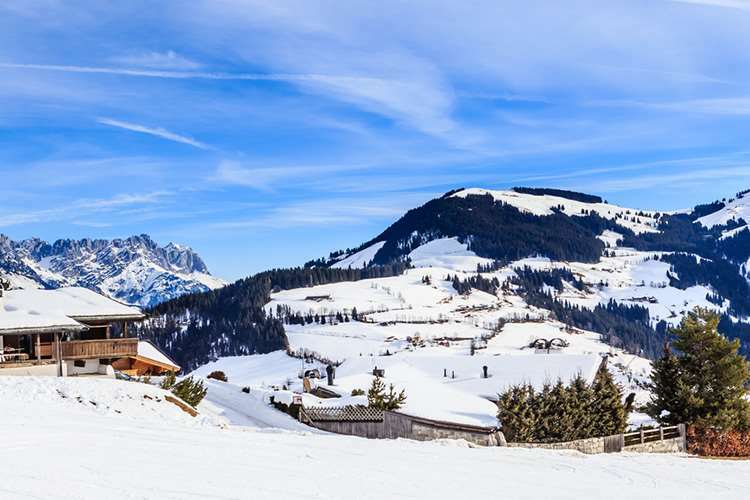 Beautifully decorated and ideally located in the central pedestrian area, it offers stunning views from the heated outdoor pool to the Hohe Salve Mountain. The hotel has a relaxed, informal atmosphere and a reputation for excellent food. The whole hotel is non-smoking. Location In the central village pedestrian area with a ski bus stop outside the door. Never before have I returned to the same destination or hotel however I have been to Hotel Postwirt five times, thats how highly I rate it. Soll is a gorgeous small town and the skiing is fantasic. There is a short walk (5mins) upto the garage and then straight onto the gondala up to the mountains. Hotel Postwirt is very welcoming and all their rooms are lovely. There is apres ski served in the bar and never dissappoints. Dinner is waiter served 5 courses. You choose your main meal at breakfast in this morning and the waiters are always willing to accomadate. This hotel is worth a visit if your visiting soll. I have been skiing for 4 years now in Bansko, Andorra and Soll. Soll is by far my fav. Bansko's great but 3 3/4 hour transfer is no fun after a 4 hour flight and in Andorra the ski runs are not long enough. As for Soll, the Hotel Postwirt is very close to slopes and is within walking distance to ski hire shop and gondola. The hotel is very nice, rooms could do with a facelift but are traditonal ski hotel rooms, nice and clean, no tea or coffee though. Sauna, steam rooms & cold room are free of charge and the outdoor swimmiing pool is lovely. The food at Hotel Postwirt is of a very high standard, even for my fussy partner, especially the five course banquet. The staff are friendly but reserved. The slopes are good, with lots of connecting ski lifts to explore. The snow wasn't too bad, although the home run got a liitle bald towards end of day ( but dont they all?). Going back this year, I just hope snow is good.